John Boyega was "literally shaking" when he asked Harrison Ford to sign his Han Solo action figure. 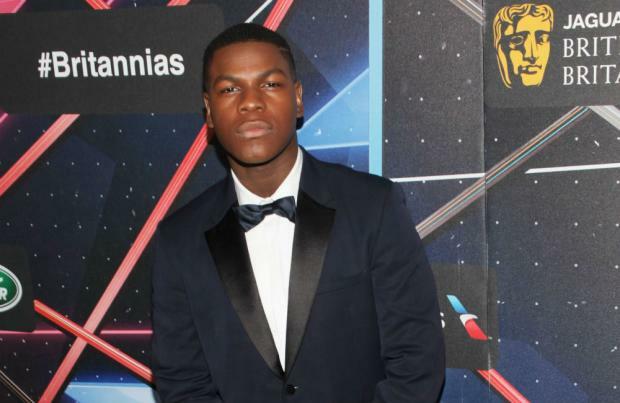 The 23-year-old actor - who plays Finn alongside Harrison in 'Star Wars: The Force Awakens' - revealed he freaked out and acted like a fanboy when he first met the 73-year-old star. He revealed: "I went over to Harrison and said, 'Can you sign my doll?' and he was like, 'This is weird, but I'll sign it for you.'" The British star also admitted he hasn't got round to watching the film yet and is waiting for its forthcoming premieres in America and the UK. He told CBR: "I have a few plane tickets and, I am going to see some fans. "I am just going to be a fan. I am not going to do that actor stuff. I'm literally just going to pop up everywhere just to experience this thing on the big scale." Meanwhile, the 'Indiana Jones' legend revealed recently that he admires the British actor and newcomer Daisy Ridley, who swayed him to return to the franchise. Previously asked what brought him back, Harrison said: "I think it mostly lay in the telling of the stories of his relationships with other characters in the story. "And the part he plays in the progression of the story, mostly through his relationships with the new young actors - Daisy Ridley and John Boyega principally in this new story."